Regular exercise, a diet high in fruits and vegetables, and probiotic supplements all help keep you healthy during this time of year. For most people winter is considered a tougher, less pleasant time of the year. Since for many Canadians it isn’t feasible to spend December through February of each year in the southern hemisphere, it’s good to have a plan and some basic tools to help get through these colder months. 1. Snow isn’t a reason to stop exercising: The cold weather may change some of our exercise options but it certainly doesn’t take exercise off of the table. The Canadian Society for Exercise Physiology recommends that people 18 to 64 years of age get at least 150 minutes of aerobic exercise and two sessions of weight-bearing exercise per week. Those 65 years of age and older should aim for the same amount of exercise but with an emphasis on balance-improving exercises like yoga, if balance is an issue. Jogging and walking are still great exercises to get the heart pumping during the winter; we just need to bundle ourselves up more. An indoor exercise program is a great add-on for days where walkways are slippery or weather makes it difficult to get outside. Stationary biking, sit-ups, push-ups (from knees if necessary) and a variety of exercises with free weights or weight machines can make a complete workout. Getting plenty of exercise boosts endorphin levels, aids weight loss, stabilizes mood, improves sleep and helps to prevent most major chronic diseases. 2. Frozen fruit and vegetables are ok: Much like exercise, eating a healthy diet is an essential aspect of health. The most important aspect of a healthy diet, which is often overlooked in our society, is intake of fruit and vegetables. Although fresh fruits and vegetables are scarcer during the winter, having frozen options on hand helps to reach our optimal. Fruit smoothies are a quick, easy and tasty way to boost fruit intake. Ideal smoothie ingredients include frozen blueberries, blackberries, raspberries, bananas, pear, apple and mango. Baby spinach added to smoothies doesn’t change the taste much but sneaks in some great dark leafy greens. 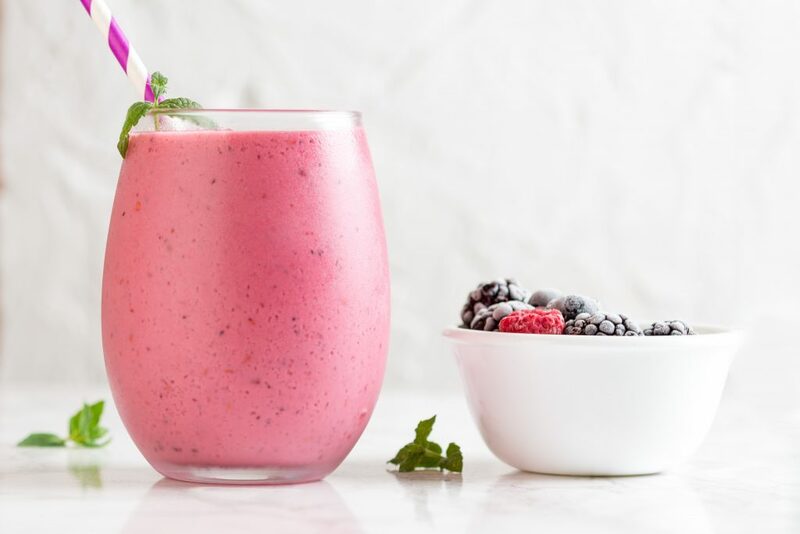 A good smoothie recipe is one cup frozen berries, one banana, or two handfuls of spinach, one scoop of protein powder and one cup of warm water. Blend and enjoy. Frozen broccoli, cauliflower, carrots, peas, green beans, and more are all easily available at grocery stores or you can buy and freeze your own vegetables. Frozen vegetables can be easily steamed, boiled or added to a stir-fry. As far as nutrient content is concerned, frozen is superior to canned. 3. A probiotic supplement can help stave off the common cold: The best preventative methods to ward off the common cold include washing your hands regularly, eating a healthy diet and getting at least eight hours of sleep per night. Hand washing helps reduce exposure to infectious agents while sleep and a healthy diet are essential in fortifying our defence against these agents. Another great preventative treatment for the common cold is taking a probiotic or “beneficial bacteria” supplement daily during cold and flu season. Certain strains of bacteria in the Lactobaccilus and Bifidobacterium genera are naturally present in abundance within the human digestive tract and play a supportive role in digestion, absorption, antigen recognition and immune activation. Optimizing the “good” to “bad” bacteria balance with probiotic supplementation has be shown in over the past seven years to help prevent occurrence, shorten duration and reduce intensity of the common cold or flu. People with immune disorders, milk allergy, recent surgery, cancer, short bowel syndrome, an artificial heart valve, those on immune suppressing medications or those who are HIV positive should consult a naturopathic doctor before taking a probiotic supplement.